There are still a few missing tiles that needs to be made in order to complete the puzzle. These are the obscure tiles that will appear maybe five times in the level in very suspicious nooks and crannies. But those nooks and crannies are there because the random decides for them to be there. That is the problem with the random level generation. If everything was sand, for instance, the problem would not be present at all. But with the transition areas from sand to ground, and with the cliff tiles in the mix, the current seed I'm testing with throws me a few curve balls with regards to the layout. Apart from that though, other level bits like the trees, the shacks and the prefab houses are now also being 'strewn' accross the level. It's kinda like discriminatingly shaking a pepper grinder over the basic layout. But palm trees should stick to the sand tiles. The shacks and prefabs can land anywhere. And nothing should land on the dune tiles. Of course, since this is random, the specific locations are not exactly controlled. Hence sometimes (again on the transition areas) the trees do land on the ground. But that's ok.
And 'land' is the operative word here. I know the level elevation will never go higher than 240. So I start by placing the object on an altitude of 1000. From there I cast a ray straight down and get the intersection on the bounds, and then get the intersection on the exact face. It's the same routine I use for the chopper's altitude calculation. From that I can determine with a high degree of certainty exactly what Y value the object must have to be on the ground. Basically firing the objects from space. The other bit of work I had to so was to restructure some bits of the entity model so that I could create an object preset. 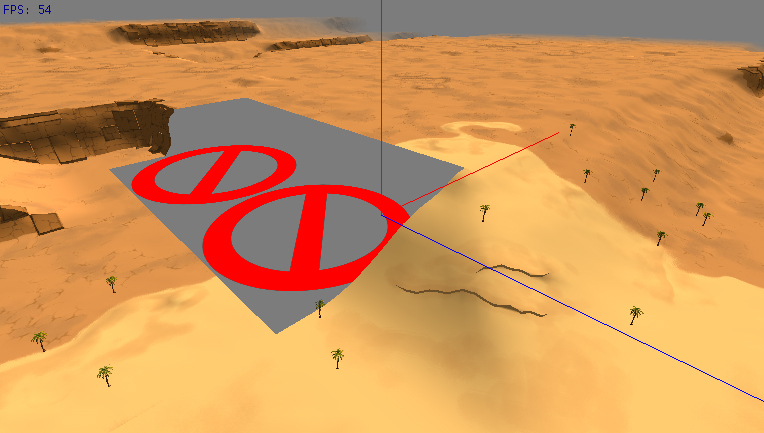 These presets are used to define objects that will be used in the level. For example, the guard tower is made up of the main building model, and then the windows/screens that has an alpha component. 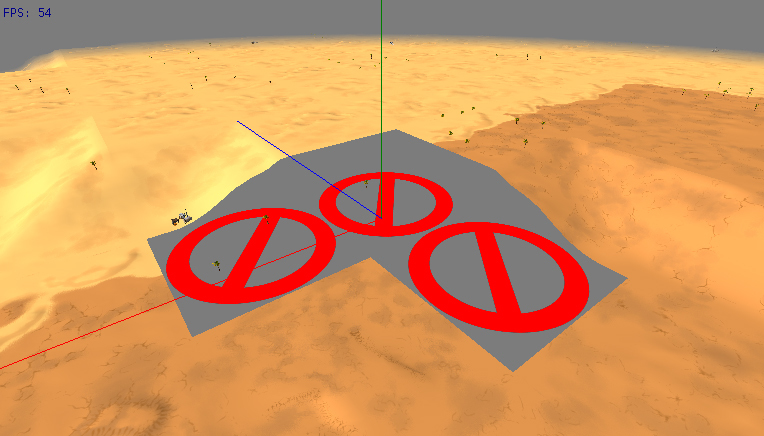 The alpha components are drawn last for obvious reasons, so it has to be two separate models in the content set. 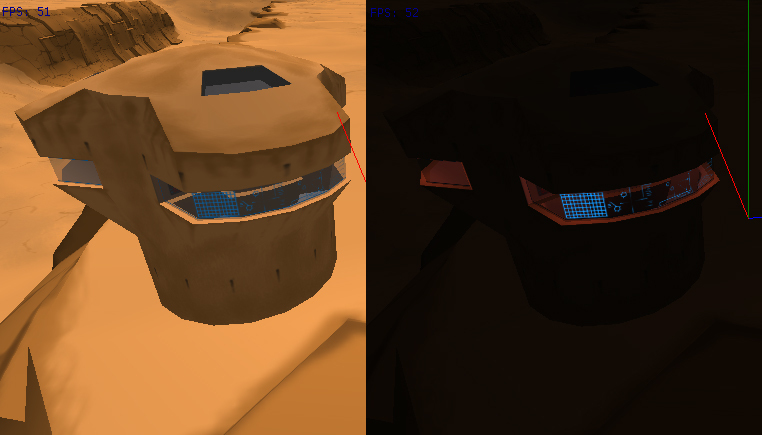 The preset combines these and from the preset various different instances is created as level objects. The HUD has also been tweaked and the display errors on the alti-meter has been corrected. But there's more changes I want to do on it before I'll show you what it looks like.